Congratulations and heartfelt appreciation to Hilary Gomes and Diane Rosner who were recognized at the 8th Annual Etudes Summit, October 2015. The Etudes Board of Directors celebrate Hilary and Diane for their leadership and contributions to the Etudes user community and organization. 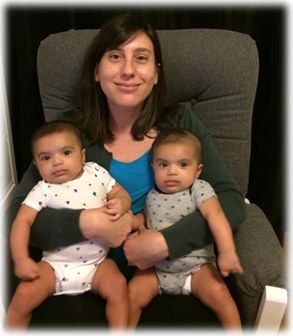 Hilary Gomes, Professor of Fine Arts, at Foothill College, pictured with twins Jasper and Amari, has been delivering and supporting her classes with Etudes for over a decade. As an artist, Hilary brings her creative spirit into her classes. Hilary pioneered innovative approaches to using Etudes and other technologies into her online classes, always looking for ways to engage her students, and involve them in the learning process. What sets Hilary apart is her generosity in sharing her experience with her colleagues. Hilary has been an active member of the Etudes Users Group community of practice, sharing her ideas, practices and ways that she’s overcome challenges in the online classroom. Additionally, Hilary has presented at every annual Etudes Summit, on topics such as appropriate implementation of grading rubrics, effective syllabus design, and integration of collaborative technologies like VoiceThread. Hilary has been busy outside of our Users Group in recent months, and was unable to attend the 8th annual Etudes Summit to receive her award in person. It is for a good reason. Hilary is a proud new Mom of her twins, Jasper and Amari. Hilary has returned to teaching online. Diane Rosner, former Etudes Board Member, was recognized at the Etudes Summit for her eight years of service to the Etudes community and organization. Thirteen years ago, while serving as a Dean of Instruction at Lake Tahoe Community College (LTCC), Diane turned to Etudes for help to establish and grow a distance learning program, as LTCC was losing enrollments and at risk of closing its doors. Diane embraced the Etudes community and developed a strong network with Distance Education Coordinators, helping each other share enrollments, resources, and qualified instructors. In 2006, Diane joined the Etudes leadership team on an Advisory Board that oversaw Etudes transition from a Foothill College effort to an independent non-profit organization. In 2008, Diane became one of the founding Board Member of Etudes, Inc., when Vivie Sinou, Executive Director / CEO, applied for 501c3 non-profit organization status with the Internal Revenue Service. A natural leader and fierce supporter of faculty and student learning, Diane’s voice on the Etudes Board helped guide the direction of the organization. Diane retired from her Dean position at LTCC two years ago, and is enjoying life without meetings. We miss her. In appreciation for his contributions to the Etudes user community, Cyrus Helf was awarded the 2014 Etudes Board of Directors Excellence Award. The award is presented annually during the Annual Etudes Summit luncheon. Many of Cyrus’s West LA College colleagues were present along with the Etudes community to witness Cyrus accept his award on November 6, at the 2014 Etudes Summit in Long Beach, CA. Cyrus is a dedicated and frequent contributor to the Etudes Users Group support forums and communities of practice. He is quick to offer guidance, advice, and hands-on assistance to faculty, particularly with multimedia and blending media with online lessons. Cyrus is recognized for bringing a creative, positive and friendly attitude to the Etudes community. “It is not uncommon for Cyrus to whip up a short video in just a few minutes to help faculty. He comes to the rescue, making multi-step tasks seem simple,” says Jon Townsend, Vice-Chair, Etudes Board, and Professional Development Coordinator at San Joaquin Delta College. The Award came as a surprise to Cyrus. When not hanging out online with the Etudes community, Cyrus devotes his attention in developing instructional multimedia materials for West Los Angeles College (WLAC). He is active in producing materials for faculty to use in Etudes, the campus online learning management system as well as on their websites, in information kiosks, presentations, and other instructional programs for the WLAC campus community. The Etudes Board of Directors recognized Dr. Judy Baker for her contributions to the Etudes user community. 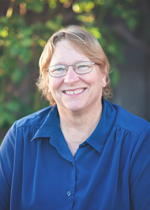 Judy is an integral member of the Etudes Users Group, which reaches over 3,500 faculty across the state of California. She serves as a valuable resource to faculty and contributes outstanding articles, resources, and tips on best practices and pedagogy, open educational resources, accessibility, fair use and copyright law on a weekly, if not daily basis. Judy Baker manages the distance learning program at Foothill College in Los Altos Hills, CA as the Dean of Distance Education. She manages the online learning program, Foothill Global Access, as well as professional development for faculty and staff. She has been a leader in the open educational resources movement. She was one of the California Community College Open Educational Resources (CCCOER) founders. She wrote the grant proposal to The Hewlett Foundation that funds the College Open Textbook Collaborative. She is the director of the Open Educational Resources (OER) Center for California (http://grou.ps/oercenter). She also has developed and maintains the OER Consortium site (http://oerconsortium.org). Judy brings to administration strong teaching skills. She was a professor at Texas Woman’s University in the health studies department for 12 years. The Etudes Board of Directors recognized Glenn R. Golden, Chief Architect of Etudes, for his outstanding leadership, vision and technical direction of Etudes. 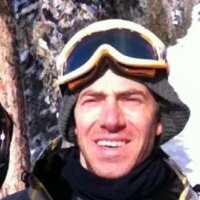 Glenn is responsible for the current and future technical success of Etudes; the software platform, applications, and the Etudes production architecture. His technical leadership, vision, and analytical mind is surpassed by no one. He came to Etudes after 10 years at the University of Michigan, where he was an architect, designer and technical lead for Sakai. Glenn partnered with Vivie Sinou in a Michigan / Etudes collaboration to design and develop Mneme Test Center (a.k.a. Assignments, Tests & Surveys) in 2006. He has led the development of AT&S, Course Map, Activity Meter, inTouch, account management, archiving sites, and much more. Glenn has been leading the design and development of computer software products and systems in commercial, entertainment, scientific and educational areas since 1980, specializing in complex system architecture and design, and Java server / browser client software systems. He works out of the mid-west office of Etudes in his home in Ann Arbor. Work, three children, rooting for Michigan Wolverine football and the Detroit Tigers, and a few hours of sleep pretty much fills up Glenn’s time. He would like to become a passable player of guitar and piano, but that may have to wait for retirement. Etudes Board of Directors recognized Riba Taylor for her dedication and outstanding contributions to Etudes and the user community. Riba was found doing her ’rounds’ in MyEtudes, volunteering countless hours supporting faculty with technical and pedagogical questions around the clock. The Etudes community is that ‘third place’ for Riba that many seek. Riba is an adjunct associate professor at Mendocino College where she teaches online courses in English and becoming a successful student. She has “downsized” her teaching load, choosing to teach for only one college to make more room for her writing. In the past, Riba worked for Santa Rosa Junior College in the English and Applied Graphics departments, and taught online English classes for College of the Siskiyous and Foothill College, as well. She earned her BA in Women’s Studies at UC Berkeley a million years ago, and her MA in English (with a creative writing emphasis) from Sonoma State in 2001. Riba especially loves helping students become stronger learners, and she gets excited talking about teaching and learning with her colleagues. 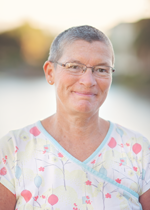 Her work as a certified Etudes trainer, both facilitating training sessions and providing support in the Etudes support forums, brings her a lot of pleasure and gratitude and a valued sense of being part of an engaged, cooperative, generous community of educators.